Combinatorial creativity. Or, why everything’s a mashup. Painting by Kyle Jorgensen. 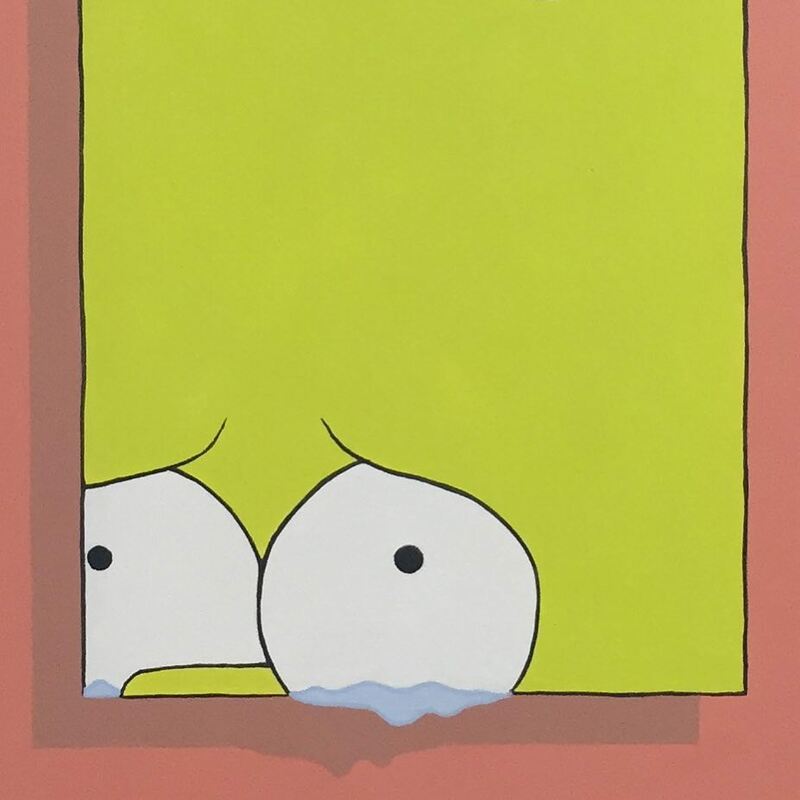 From the Bootleg Bart art exhibit, in which local Salt Lake artists produced art based on the Simpsons character. As a society, we are enamored with wrapping our heads around the creative process. In Distrust That Particular Flavor, William Gibson suggests that each of us is developing our own personal microculture: the accumulation of every book we’ve read, every conversation we’ve had, every movie we’ve seen, every piece of art we’ve seen, and every song to which we’ve listened. Design legend Paula Scher echoes Gibson’s thoughts in an interview in which she describes the creative process as a “slot machine” that remixes the collection of experiences you’ve amassed in your life. Combinatorial creativity hinges on our ability to actively cultivate this private microculture. If we all agree that influence is vital to the creative process, then why do so many people resist a “remix” culture? In a Harper’s article entitled “The Ecstasy of Influence,” (h/t Harold Bloom) writer Jonathan Lethem tackles the complicated subject of plagiarism in art. While acknowledging the role that copyright law plays in a market economy, Lethem falls into the same camp as Gibson and Scher, advocating the type of “open source” culture in literature and art that exists in jazz/blues music, for instance. One of the major ideas underpinning postmodernism is that nothing is truly original. Everything is parody or imitation of something else. Probing this idea further, Lethem argues that most everything that’s ever been written or said is plagiarism. We receive everything secondhand, drawn from hundreds and hundreds of other sources that are imperceptible to us. On an anecdotal level, my first introduction to some of the best pop culture and film was through parodies that appeared on The Simpsons (who can forget the brilliant Kubrick love letter ‘The Shinning’?!) My first brush with classic literature was watching a dog play Cyrano de Bergerac, Faust, and Tom Sawyer on the television show Wishbone. When I’m working on a visual project, my first impulse is to flood my mind with poetry, art, and photography. So again I’ll ask the question: Why resist an “open source” culture? Art by Alexa Hall. 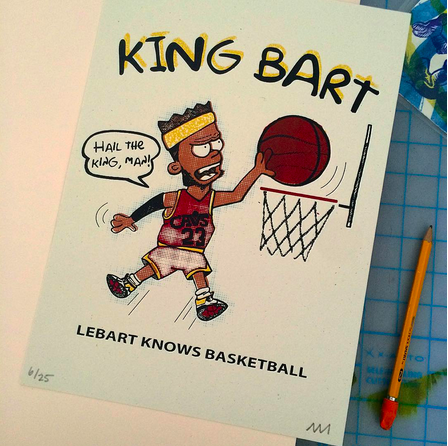 From the Bootleg Bart art exhibit. The ethics of creative license can get murky. Artist Joy Garnett shares an interesting anecdote in which she was accused of copyright infringement for modeling a painting on a documentary photograph without giving attribution. The photographer in question – Susan Meiselas – offers up her side of the story. The man in the photograph was a Sadinista rebel hurling a bomb at the Somoza national guard in 1979. Meiselas says that she doesn’t object to reappropriation of the image, but she does object to the degree to which duplication has decontextualized the photograph from its original meaning. Although combinatorial creativity is inherent to art, artists enter a gray, murky area when they choose to riff off of others’ work. When it comes to telling stories from cultures that differ from our own, context matters. My undergraduate studies were focused on a specific geographic region and culture – the Middle East and Arab culture – and so I’m sensitive to the ways in which Western cultures have chosen to represent (and misrepresent!) conflict in the Middle East. Often when dramatic images from the news circulate, they are ripped from their context and therefore lose their meaning. For instance, this week the Internet reacted to shocking pictures of a Kurdish refugee child whose body had washed ashore in Turkey. While many articles sought to educate the public about the Syrian refugee crisis, the images themselves converted the boy into an emblem, a victim of broad conflict in the Middle East. So where does that leave us? I’m not certain. Like Lethem, I’ve been influenced by writers and artists in my own creative work and I think that as a society we should continue to cultivate a “remix” culture. On the other hand, I want the art that is being created to add to the conversation, not detract from it.